OK 99 is one of Oklahoma's longest state highways. 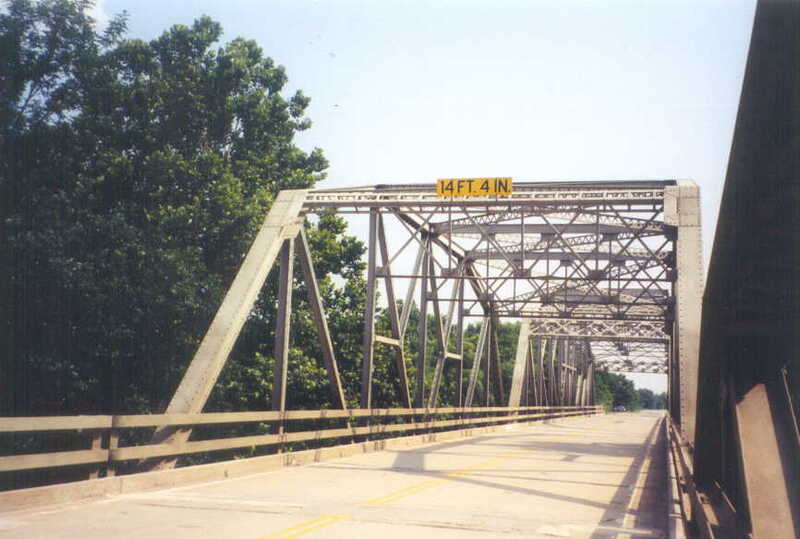 It also seems to have more truss bridges than any other state route. 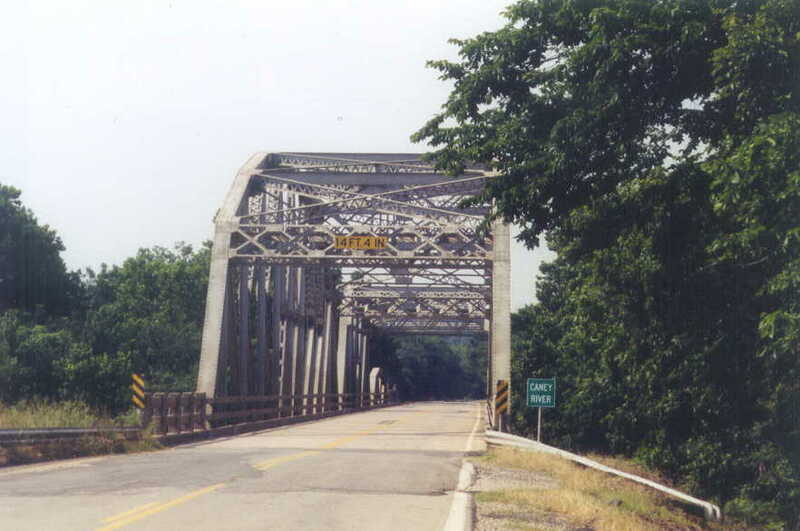 This bridge was built in 1935 by M. E. Gillioz and is an outstanding example of an early Oklahoma K-truss bridge with full-width roadway lanes. Above is a deck level view through all three truss spans and the approaches. 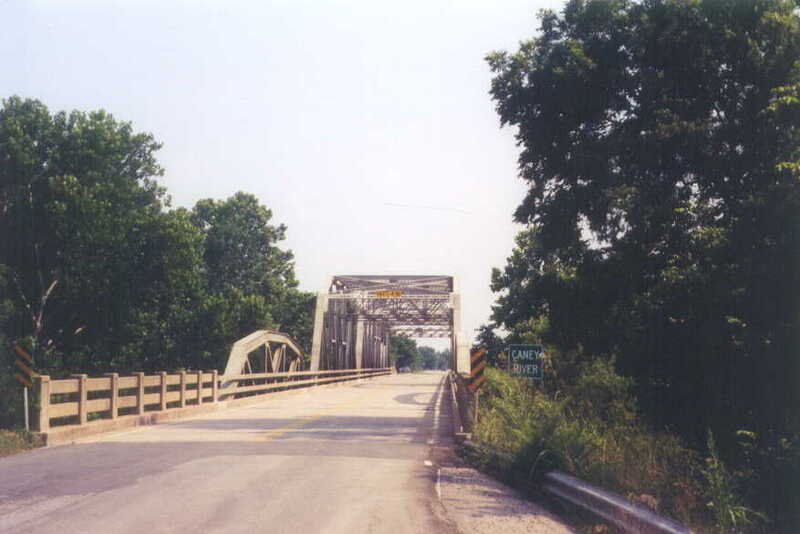 The bridge in the foreground is 200 feet long and still has its original portal structure. The approach spans have their original concrete "fence" rails with the panel detail in the uprights. Below we are looking through the other end of the bridge. after the approach is a 100' pony truss span and a 120' Parker. Above is a close shot of the Parker span. As the bridges got wider and heavier, the familiar 120' modified Pratt became a Parker. 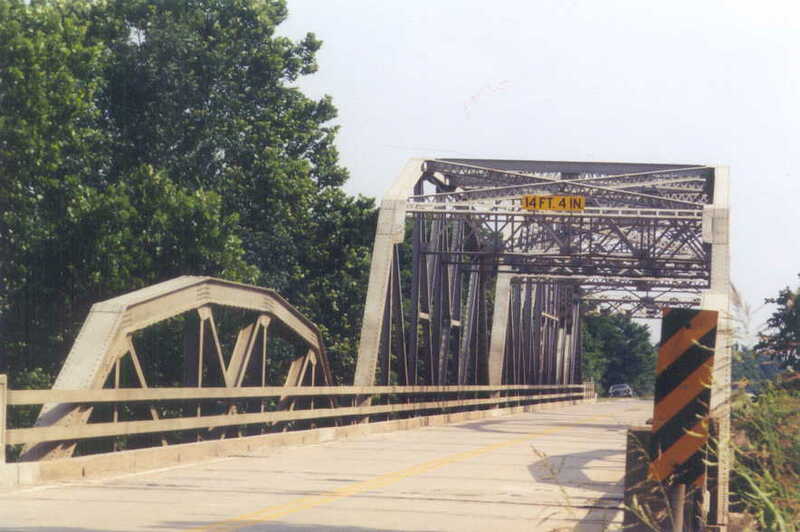 You'll notice that the portals of this span have been repaired with welded tie-plate and angle sections. And finally, below, a close shot of all three truss spans.